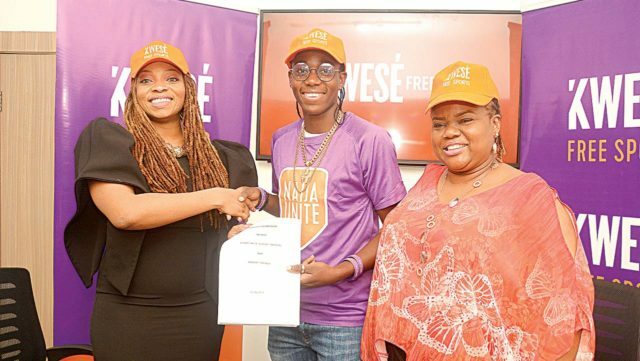 Super Falcons striker, Asisat Oshoala yesterday entered an agreement with 24-hour sports TV station, Kwesé Free Sports (KFS) UHF 32, as its brand ambassador in Nigeria.Oshoala, who is the reigning African Women’s Footballer of the Year, told The Guardian shortly after the signing ceremony that she was glad to become a member of the Kwese family. The Dalian Quanjian FC of China forward will become the face of the Kwesé Free Sports brand, promoting the channels’ sporting content and supporting its initiatives. She will feature in Kwesé Free Sports’ advertising commercials, encompassing radio, television, print and digital. 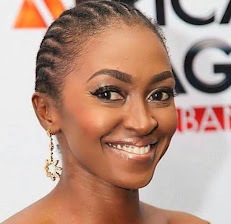 She will make appearances at Kwesé Free Sports events and feature as a guest analyst in its studios. Arguably Nigeria’s best female footballer, Oshoala’s honours include; the African Women’s Footballer of the Year 2014, 2016 and 2017, and the BBC Women’s Footballer of the Year 2015.Aware that a lot of young girls look up to her for inspiration, she launched the Asisat Oshoala Foundation to mentor and groom young girls who aspire to be the best in their chosen endeavour. General Manager, Kwesé Free Sports Nigeria, Chichi Nwoko explained that Kwesé Free Sports would support the Asisat Oshoala Foundation as part of its commitment to youth development through sports. “We believe that Asisat exemplifies what Kwesé Free Sports stands for. We want to be the vehicle through which she tells the story of women through her foundation”, Nwoko said.On her part, Asisat said she wants to become one of the best female footballers in the world, adding: “This endorsement is a real inspiration for all women. I want to thank the Kwesé family for also giving a woman the opportunity to represent its brand. I encourage all hardworking women to keep working because at the end, it pays-off,” she said.